It is of utmost importance for employers to ensure the air quality of the space where their employees work. Indoor pollution is a large threat to the lungs. In fact, it can make the lungs feel like fifteen pounds of pressure per square inch is bogging them down, especially when laced with toxins. 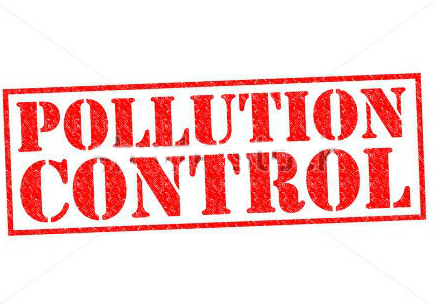 The sources of indoor pollution can vary, but do include construction materials, mould, consumer products, insects, pets and outdoor pollutants. Quality indoor air testing is an obligation for companies, especially with all the regulations in place. Choosing Site Environmental and Remediation Services (SERS) to mitigate these issues can be a step in ensuring the safety of your employees. Excessive exposure to dust poses a myriad of health risks. These health risks can include anything from asthma to respiratory illnesses to chronic lung disorders. For industries that are in high-risk environments like mining and construction, breathing in dust particles over a period of time has been seen to lead to lung diseases and other disorders. To protect their employees, and to protect themselves from any liability issues, it’s vital for employers to conduct air testing to ensure that dust does not pose risks to their employees and customers. Detailed analysis of where the dust particles are generated from whether it is drilling, mining, earthworks, tunnelling or other industrial endeavours. Establishment of a management plan for dust control. Establishing a monitoring system for airborne particles. Implementation of management plans for the control of dust exposure. We offer the gamut from installation to monitoring to servicing to sampling from trained professionals in the industry to help employers ensure that their work environment is safe for everyone on the premises. Environmental due diligence surveys are requested generally by listed financiers or companies in order to allay balance sheet contact. These types of surveys are important to employers in the realm of air testing because they allow for samples from the air to be taken and any contaminants to be identified. Contaminants can be anything from dust to asbestos to mould. These surveys should follow the Department of Environment Regulation formats for environmental works, which is crucial for companies to stay within proper air quality standards. Environmental due diligence surveys are conducted by SERS in a timely manner for our clients. During the course of the survey and investigation, we use targeted sampling to assess areas of concern that could cause regulatory or financial issues. Groundwater and soil investigation are also tested by SERS professionals. We also offer front to back remediation services and real cost estimates to help the purchasers make informed decisions. Details of surrounding crossovers and footpaths. The adjoining walls and roofs of structures around the site. SERS offers comprehensive dilapidation surveys, which we carry out with strict procedures in place to ensure the quality for all of our clients in Australia. If your company is concerned about the air inside your work building, picking it apart with air quality testing is a must to ensure employees health. SERS offers years of experience in the business to help mitigate these issues and to come up with a management plan to make certain that air quality is safe and reliable for years to come. To get more detailed information on specific site inspections and air quality monitoring for your business, fill out a form here so that one of our professionals can contact you and setup up a consultation.